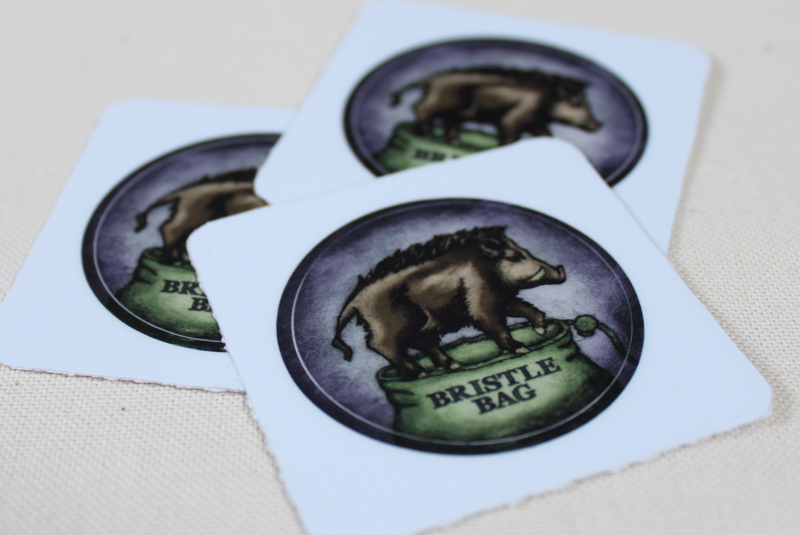 This sticker design was made as a promotional item for the BristleBag brand. 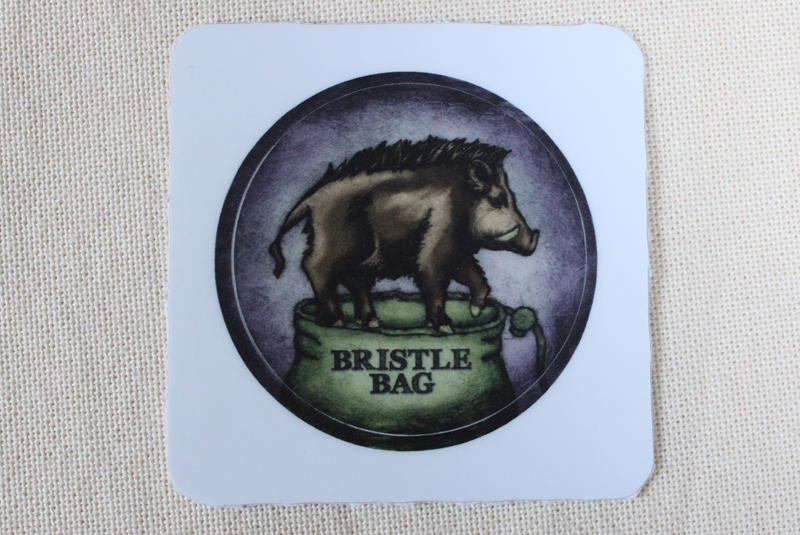 BristleBag is a shop on Etsy which sells hand crafted drawstring pouches for all purposes. The existing logo is of a Celtic boar. 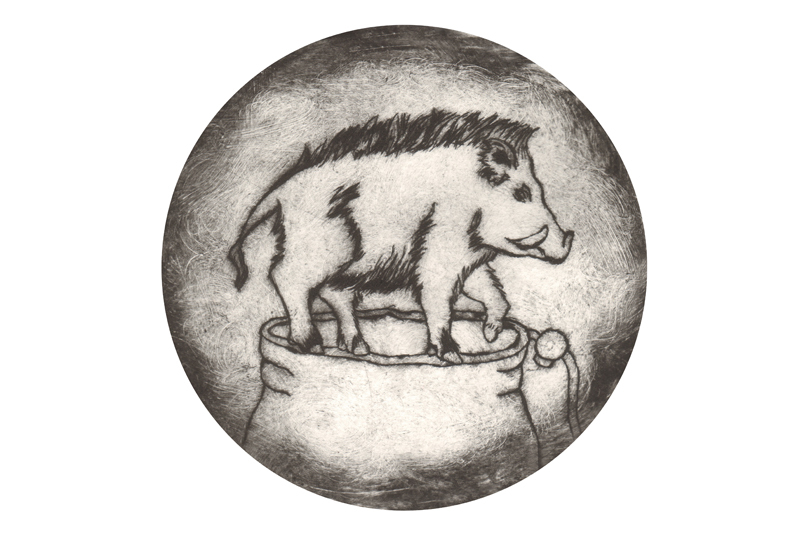 I took the logo and created my own boar which I combined with the top of a drawstring pouch. The colours and textures are aimed to add a natural and handcrafted feel. The sticker was designed with a broad target market in mind including adults and children, male and female, hence the use of neutral colours. 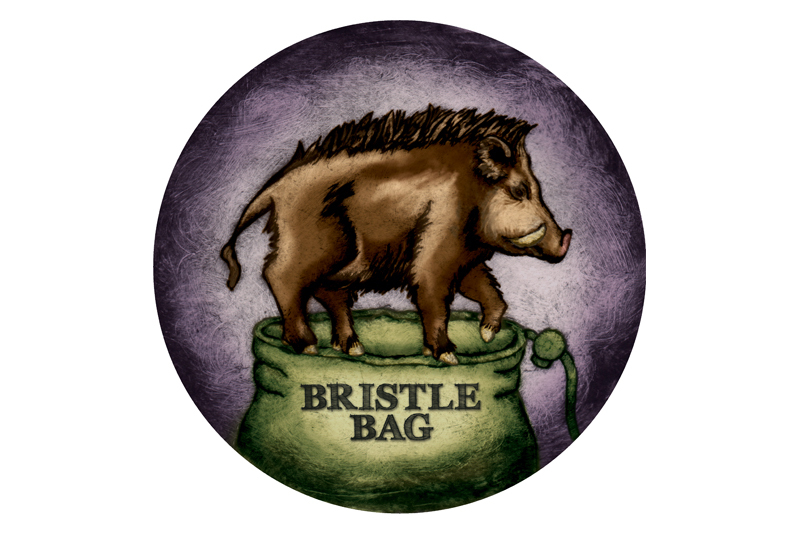 You can visit the BristleBag store by clicking here.